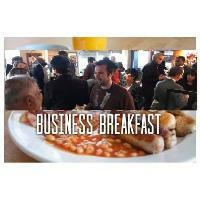 The Brentford Chamber of Commerce first Business Breakfast meeting of the year, that’s taking place at The Royal Harvester (on Boston Manor Road) from 9.00am – 10.30am on Wednesday, 16th January. This is the second event of this type that we’ve run, with the first being incredibly popular! To attend, it’s just £9.00 to be paid upon arrival and we’re expected an array of local entrepreneurs and business owners from our incredible local community. Together, let’s make 2019 a great year for local business. Formed in 1920, The Brentford Chamber of Commerce is the largest representation of Brentford businesses. The facility to promote your business to other local businesses and the wider community. We are led by our President and the Executive Committee who volunteer their time, voted in by our membership at our AGM.